The much-anticipated Apple TV streaming service may have stalled, but that doesn’t mean you have to wait to watch live TV with Apple’s newest set-top. On Tuesday, Tablo announced a tvOS app that will let you watch live network television with an antenna on your 4th-generation Apple TV. This gives cord-cutters the ability to watch local news and live sports programming. 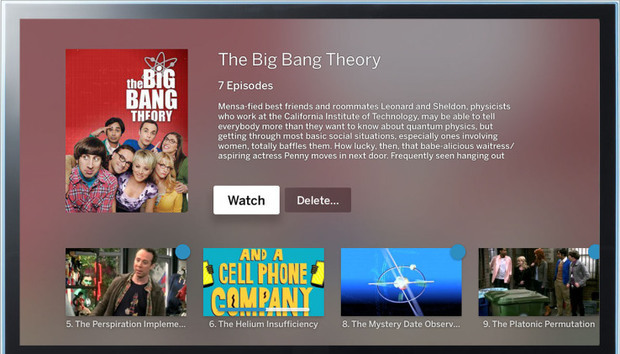 The Tablo app also provides over-the-air DVR capabilities so you can record shows and watch them later. Tablo offers a 2-Tuner DVR device for $220 and a 4-Tuner DVR device for $300. These OTA DVRs require an external USB hard drive to store your recorded programs. Tablo’s app for Apple TV will be available in the Spring, and it will be the first service to bring live TV and DVR recording capabilities to the Apple TV. Tablo also offers a subscription service of sorts. You can also subscribe to Tablo’s TV guide for $5 a month so you can browse and record upcoming programming. You can use the Tablo DVR devices and tvOS app without a subscription, but you will only be able to browse and set to record same-day shows. According to TechCrunch, the Tablo tvOS app is easy to setup but it takes some time to format the hard drive, scan for your OTA channels and download the TV guide subscription data. After that, however, navigating the app is straightforward with three sections: My Tablo, Live TV, and Recordings. One big perk of Tablo’s tvOS app is that it’s responsive to Apple TV’s voice-enabled remote control and Siri commands, so you can skip commercials by asking Siri to fast forward. Why this matters: Previously Tablo introduced similar apps for Roku, Chromecast, Fire TV, and Android TV, as well as mobile devices like tablets and smartphone. The company seems to think that live network television is still vital to would-be cord-cutters, especially programming like local news and live sports that can not be found on Netflix or Hulu. Apple seems to think so, too. Sources have stated that one of the reasons that the Apple TV streaming service has failed to get off the ground was that it was too difficult to include local programming. Thankfully services like Tablo can help fill the gaps in the meantime. Can Big Data solve the customer engagement problem for utilities?